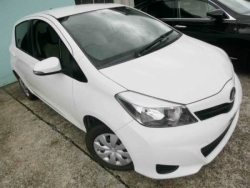 Grade 4.5 Vehicle, A gift for vitz lovers, Excellent vehicle with 18.5/L Fuel average. 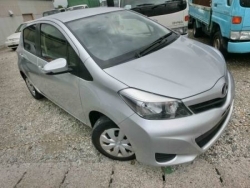 Vitz 2013 model registered 2017. Bumper to bumper genuine. Minor dent near left back door and little scratches on front bumper. Serious buyers only and no dealers please. 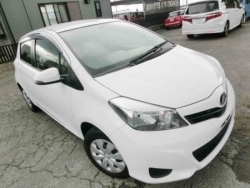 Toyota Vitz Fresh 2015 model import 25/8/2017 Spider Shape F1.0 Version 4-Grade Verified Auction Sheet As good as a brand new car Japan HID Lamps Dual SRS Airbags Yokohama Tyres Power Steering Power Windows Auto Adjustable HeadLights Navigation Retractable Mirrors Mirror indicators Back View Camera DVD Player Auto Adjustable Mirrors Low mileage Brand New japan battery Light Black Tinted Glass coating Recently Engine oil filter serviced Extra Wheel Auto repair tyre puncture pump Wide Adjustable seats Traction Control Rear Wiper Eco IDLING 25km/L on Highway (Tested) 17Km/L in City (Tested) Feel Easy to contact for other details. Sorry to dealers. Contact serious buyers only. 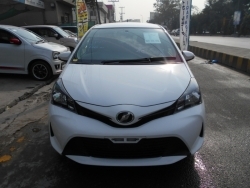 Grade: 4.5 2014=:Model 2017=:Import (just arrived) Genuine Auction sheet (verifiable) + Genuine Mileage. Total genuine Car. Original Back Camera, Touch LCD, DVD, Navigation system, AUX, CD Player and BLUETOOTH . Self import Originals pictures from JAPAN and AUCTION SHEET is also attached and avaiable. 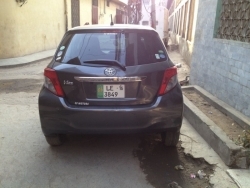 Car can be seen at DHA. 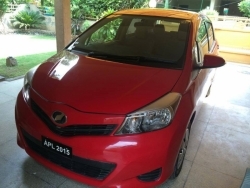 A car in very clean condition with genuine paint and all accessories are genuine ... 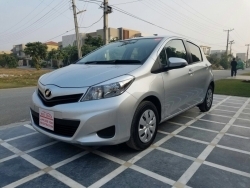 Brand Toyota vitz 1000 cc Excellent Condition , Model 2012 , 2016 registered lahore , After import 11000 km , low millage . Air bag . Air condition . Grey col . Back camera install . Sytem LCD . Book file genuine lahore number 2016 ... Single-hand driven, non-accidental, good interior/exterior. No brokerbs/showrooms, serious buyers only. 1st owner. 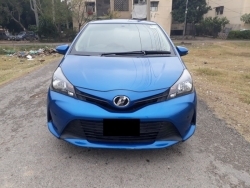 I am a retired government professor and i want to sell my car which is in excellent condition interior and exterior close to new. I would like to sell it to someone responsible and dealers should not contact. 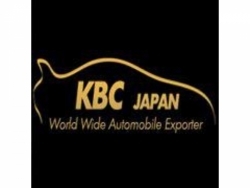 ABS ,AM/FM Radio, Air Bags, Air Conditioning, DVD Player, Key less Entry, Navigation System, Back camera, Power Locks, Power Mirrors, Power Steering, Power Windows. 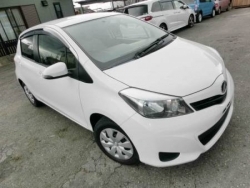 Car is just like new seeing is believing Very low genuine mileage Neat clean interior and exterior like new No work required... Just buy and drive Exchange possible Price is very competitive but still a bit negotiable Only serious buyers please.